High Definition (HD) PVC Durable ID Cards (30 mm Thickness). 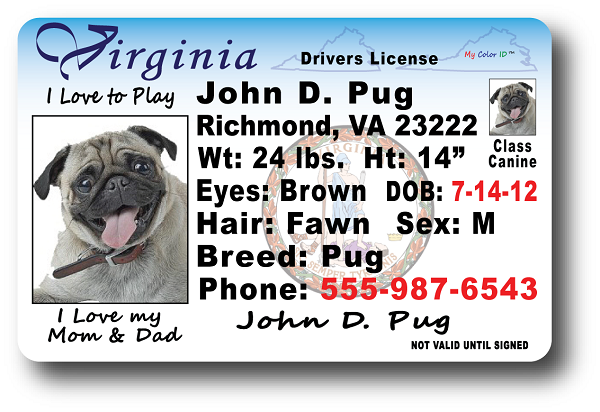 Same durable material as a real Drivers License. Fast Shipping ! 100% Money Back Guarantee ! Enter information exactly as you wish for it to appear on your Pet's ID. By selecting YES, you agree that you have reviewed all of the information for accuracy. Your purchase helps us donate to different animal organizations for animals in need.